Largely in part to worldwide coverage of recent Royal Weddings, the magnificent town of Windsor and its iconic Castle, principal home of Queen Elizabeth, have been widely seen around the world and become a ‘must visit’ location for most people. Individual touring to the town and castle and other locations can be expensive, time consuming, exhausting, poor audio guides and endless queues – Good news, there is a great alternative and that is a fixed day tour, with an expert ‘Blue Badge’ Guide, who will be entertaining and informative, in a new luxury air-conditioned, with on board bathroom, priority entrance to avoid queues and with all entrance costs included and a free lunch, is amazing value. We highly recommend our Windsor, Stonehenge and Bath tour, it is incredible value to visit these top 3 UK attractions all in one day. Costs are from just £101 or even better value a family ticket at just £414. Click here for details of this popular Windsor, Stonehenge & Bath tour. Windsor Castle charge £20.50, Stonehenge charge £17.10 and the Roman Baths charge £15.50 for are all included and there is priority entrance to avoid the queues. So it is clear what amazing value this tour is, plus expert entertaining guide for the day, effortless travel in a luxury coach and a free lunch, this really is an unmissable day out. You will find there are regular events and exhibitions at the Castle, which is well worth planning any trip around. For example, currently the wedding dress and morning suit of HRH Princess Eugenie and Mr Jack Brooksbank are on show. Together with maid-of-honour outfit of HRH Princess Beatrice of York, and, on display for the first time, the Greville Emerald Kokoshnik Tiara, which was lent to Princess Eugenie by The Queen. Whilst the castle is the main residence of Queen Elizabeth and her apartments are private, it is however possible to visit the castle whilst she is there and it is open most o the year. However when planning a trip it is worth considering that when there are events at the Castle, for example the recent Royal Wedding, clearly the castle will not be open to the public. State Apartments at the Castle will be closed on 2nd May, 16th June and 17th June 2019. On 18th May 2019 the Castle will be closed and on 21st April 2019 will not open until 1pm. 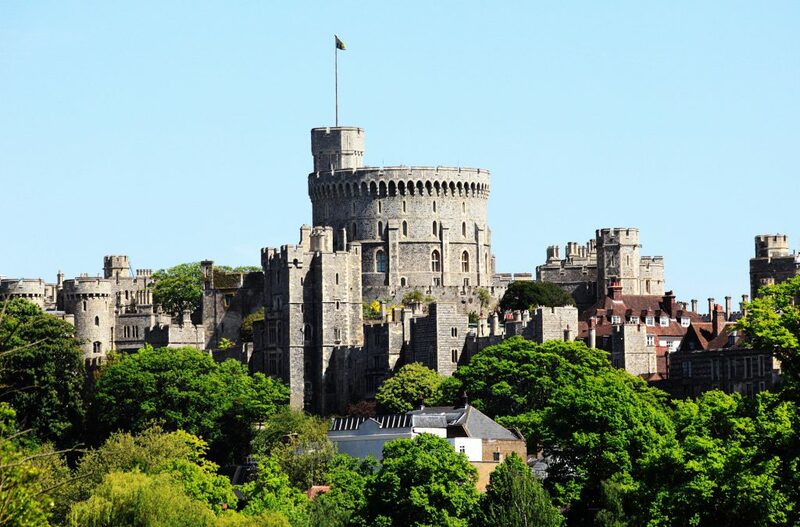 As seen across the world on recent Royal Weddings and Events at Windsor, in addition to the iconic castle, Windsor is an enchanting and charming town and a delight to visit in addition to the castle. 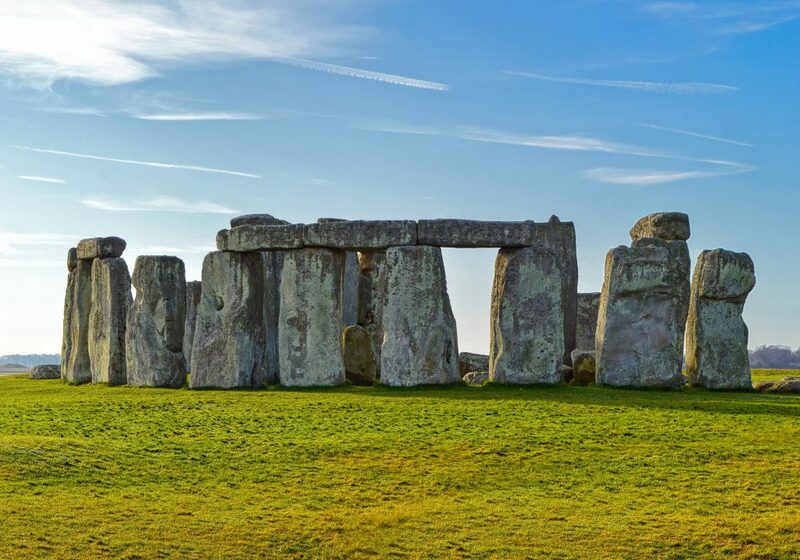 Set on Salisbury Plain in Wiltshire, this mysterious 5000 year old ancient monument is an absolute ‘must see’ and you will have a relaxed visit here with plenty of time to also take in the Visitor Centre and museum. 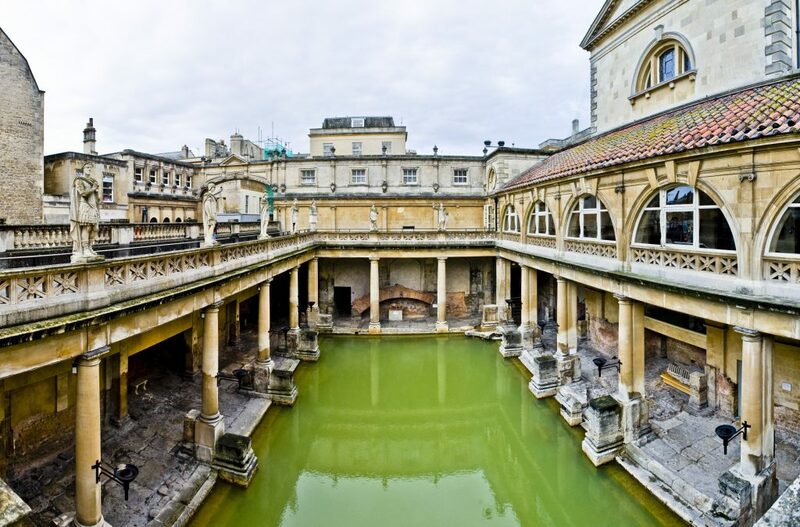 Completing this fun packed day is a visit to the beautiful Roman City of Bath and famous Roman Baths. In addition to a comprehensive visit to the Roman Baths with your expert guide, there is plenty of time to explore this fascinating city.